1. 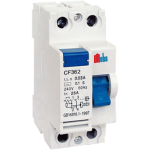 CF-362, Residual Current Devices for earth leakage detection. 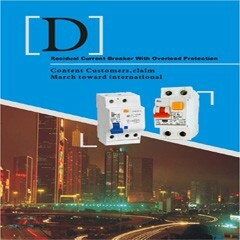 It is to be used in association with miniature circuit breakers. 2. 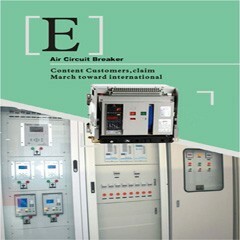 Its function is to detect earth leakage current and open the connected circuit to protect people and equipment, major used in industrial application. 3. 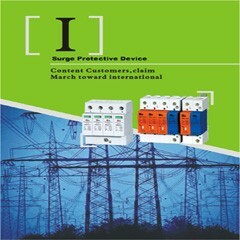 These devices are designed to meet the Earth Leakage Protection Standards of the IEC: IEC/EN 61008. Good quality , high breaking capability, updated structure,quick trip and guide installation, competitive price,excellent and safe performance,beautiful and compact appearance, etc . 2. 35mm wide for 2 pole Din Rail installation. 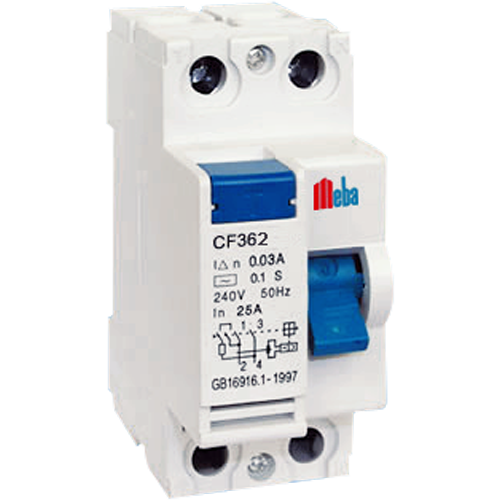 [下载没有找到] Meba Residual Current Circuit Breaker CF-362 is precise in structure, less elements, without auxiliary power and high working reliability.